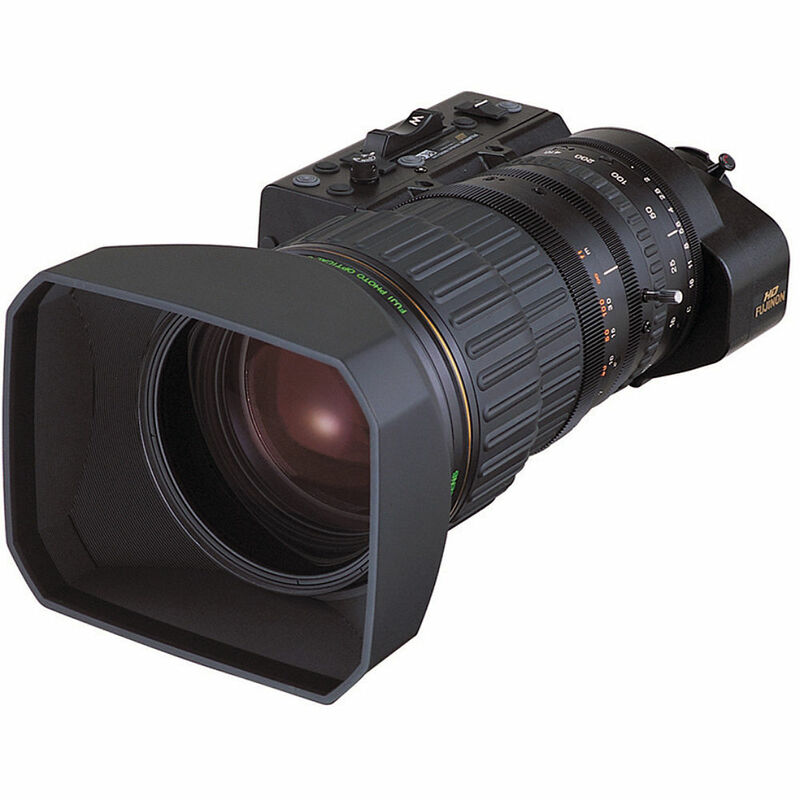 The Fujinon HA42x13.5BERD-S48 High-definition Telephoto Lens (EFP) is lightweight (5.4 kg) and portable with features such as QuickZoom, zoom limiter, internal focusing, and auto-cruise zoom. Internal focusing allows the lens to move the inner lens group without altering its length, thereby ensuring stability while focusing. With the auto-cruise zoom feature, you can set the speed to ensure a constant zoom. In addition to a 42x zoom ratio and 2x extender, the HA42x13.5BERD-S48 lens offers Digi-power servo with digital servo remote control for full servo studio control, robotics, jibs, tower cams, teleconferencing, and other applications requiring high optical quality. The super wide-angle lens provides a focal length of 13.5-570mm (without an extender) / 27-1140mm (with an extender) and a maximum relative aperture of f/2.8 (13.5-307mm) / f/5.2 (570mm). With a minimum object distance of 2.8m and a M127 x 0.75 filter thread, the lens offers built-in OS-TECH. will this reach 70' while stationary? When utilizing this lens' 2x extender it has a 42x zoom ratio. You'll be able to shoot a subject from 70 feet away with that kind focal range.